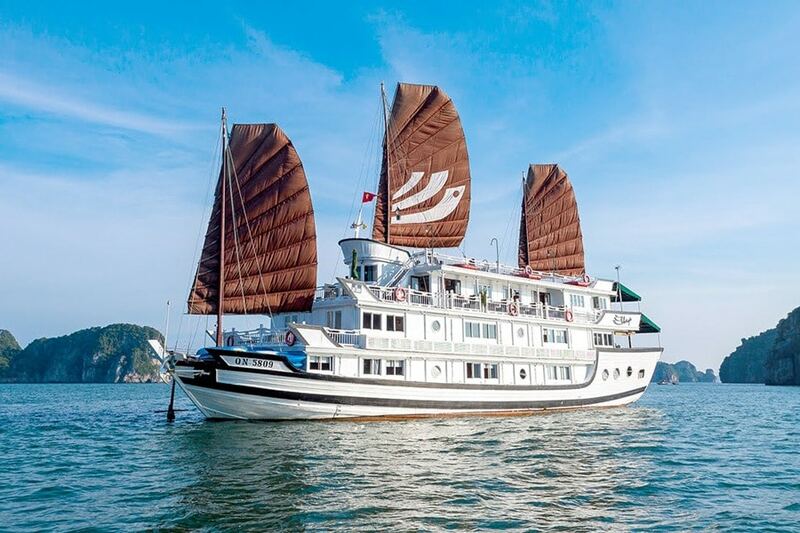 Ha Long Bay Cruise ship Bhaya was inspired by the majestic luxury of the ships used by Vietnam’s Imperial Emperors. 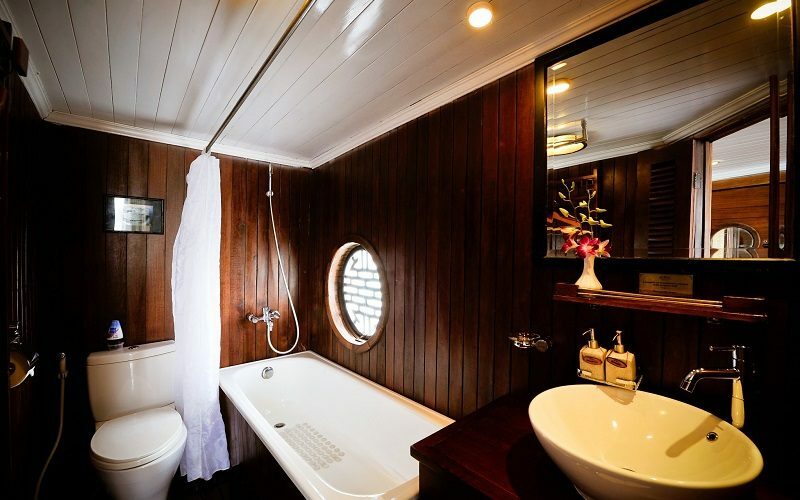 To ease themselves of the lofty worries of imperial reign and the constant plotting and counter-plotting of the imperial court, Vietnam’s Emperors would seek the isolated safety and seclusion of their imperial vessels. 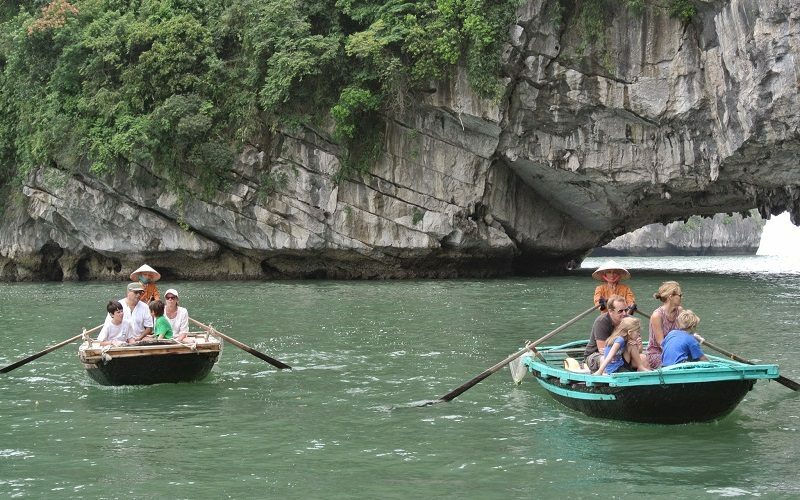 Halong Bay has always been a favorite destination. 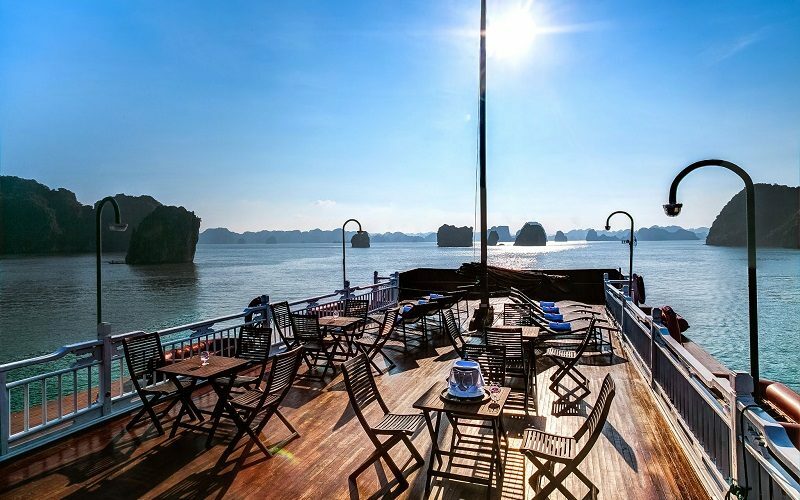 Bhaya Cruises on Ha Long Bay marry the splendor of the scenery with the significance of the location in Vietnamese history, the cultural importance of the imperial legacy and the sheer beauty of an acclaimed natural wonder in charm and luxury! 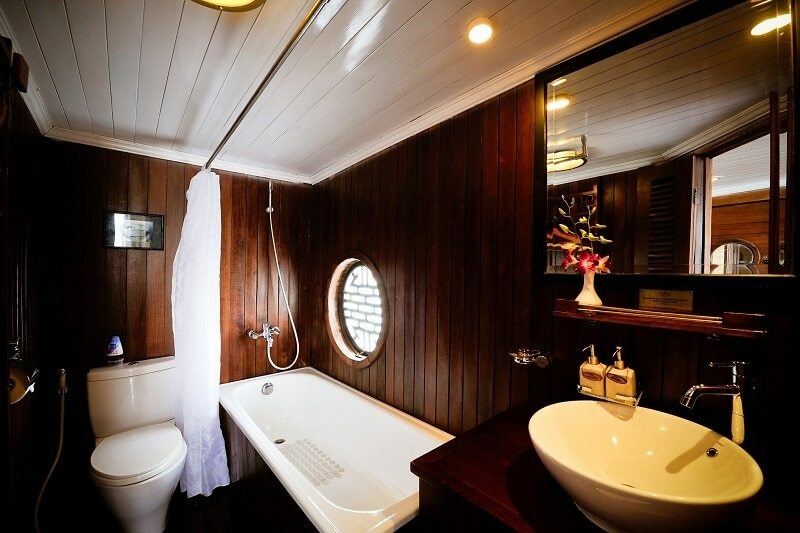 A centuries old cruising tradition recreated in modern comfort and safety. We had an amazing time on The Au Co, led by Joel and his fabulous team! Joel was brilliant, his attention to detail and care for each passenger was exceptional! 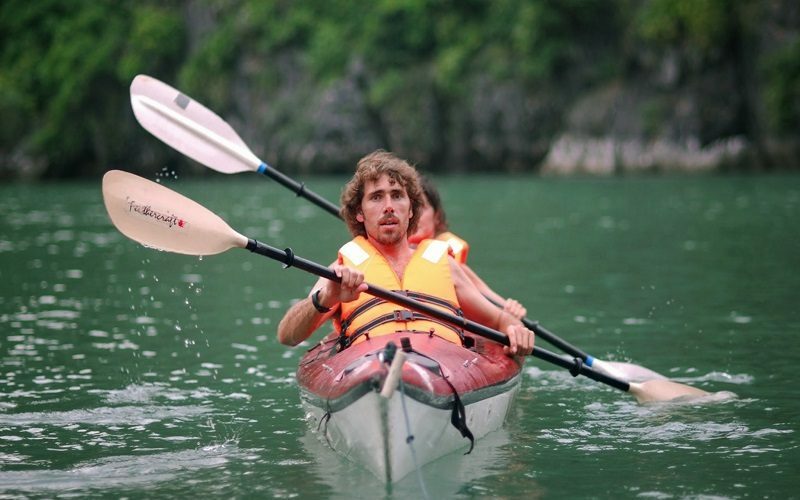 There were lots of activities from kayaking, squid fishing, cave exploring, visiting a floating village and also the community on Cat Ba Island. The activities were not compulsory, but we choose to do them all and we are so glad that we did, it was a once in a lifetime experience! Sam, Alice and Lily were so knowledgeable, fun and it was great to learn from them! 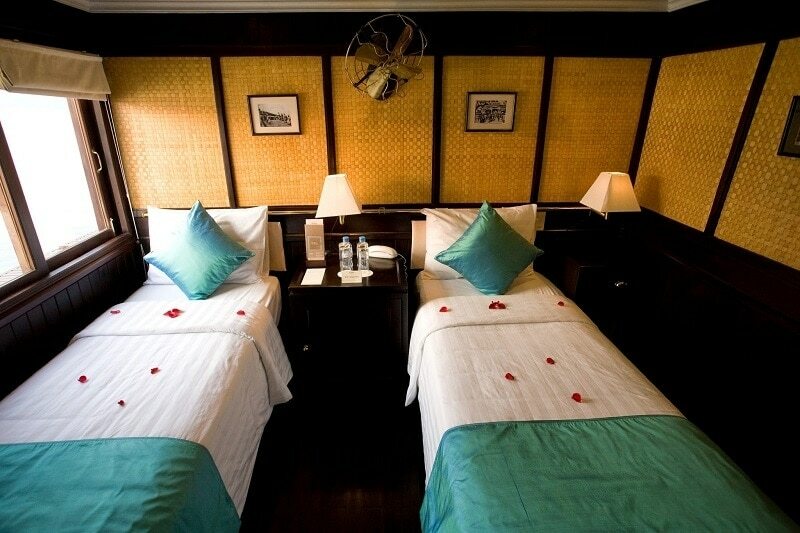 We stayed in the long quan suite, which was lovely! It was nice to have some time out and chill on our private balcony, watching Halong Bay go by! The food was AMAZING, fine dining at its best. It was my birthday and we were on our honeymoon and the team went out of their way to make us feel special! We can’t recommend this cruise enough, it was the highlight of our trip!! This choice of cruise was absolutely perfect for us. All staff were very welcoming and we thoroughly enjoyed al the activities. We were amazed by how well organised it was and we were so happy to be able to get such an amazing amount done in only a few days. Mr Linh was a great tour guide, and was very determined to get us to all of the destinations at their quietest times, meaning we had a very personal experience, most of the time with only ourselves and the other six guests. We highly recommend this company, as it was everything we imagined and more. The activities were very well chosen and everyone was catered for so well. Thank you to all of the staff in our boat for making it such a memorable trip!! Absolutely amazing!!! 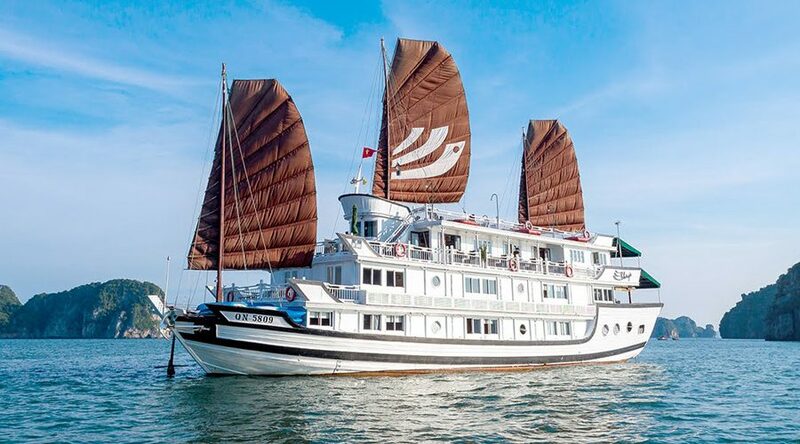 Top notch cruise and service Stunning scenery amazing staff Cant thank Mr Linh enough he was absolutely fantastic!!!! Very professional friendly knowlegable and funny too 🙂 Also Dong- Absolutely top service!! Thanks also to the captain for lending me his jandals even! !The staff were all fabulous friendly and helpful The trip was comfortable classy and just soooo totally awesome!!! Activities were fabulous!!! A total must do!!! Style and class!!! 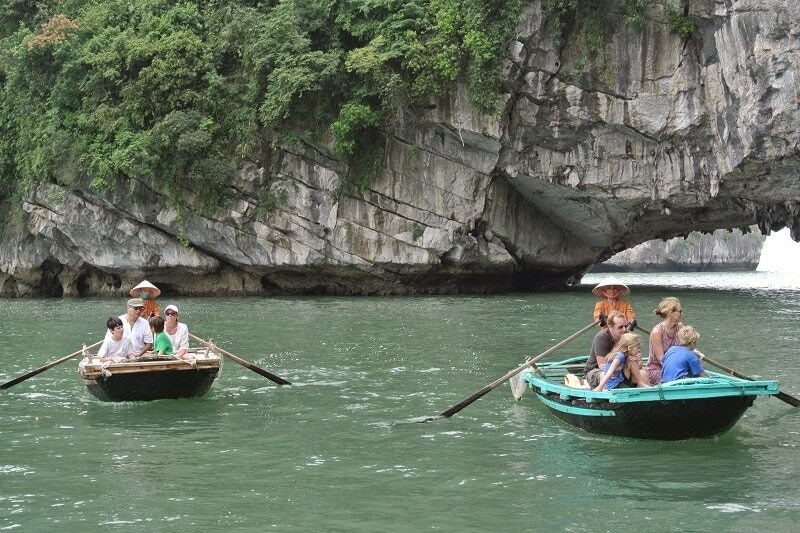 Our cruise manager Mr Linh ensured that 3 day/2 night cruise around Ha Long Bay was memorable. 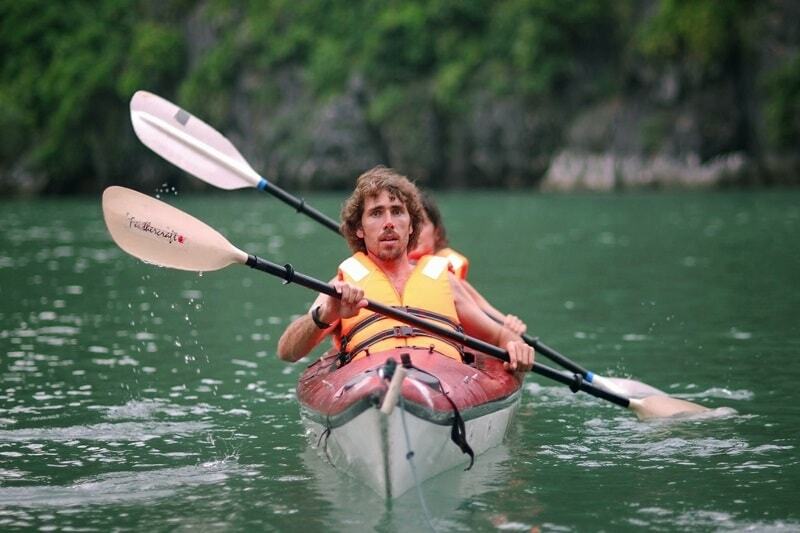 The sights were amazing and we loved our excursions, including fun kayaking, and visiting Surprise Cave. 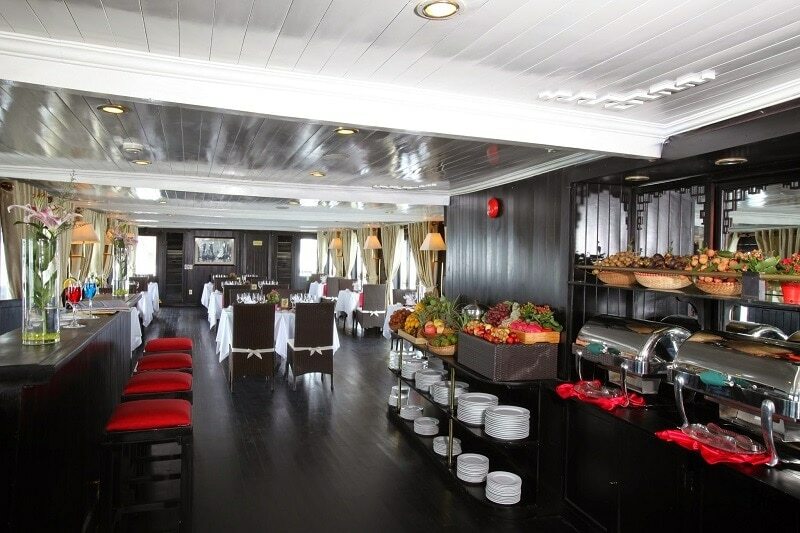 The chef prepared fantastic food and the whole on board team provided a wonderful experience. 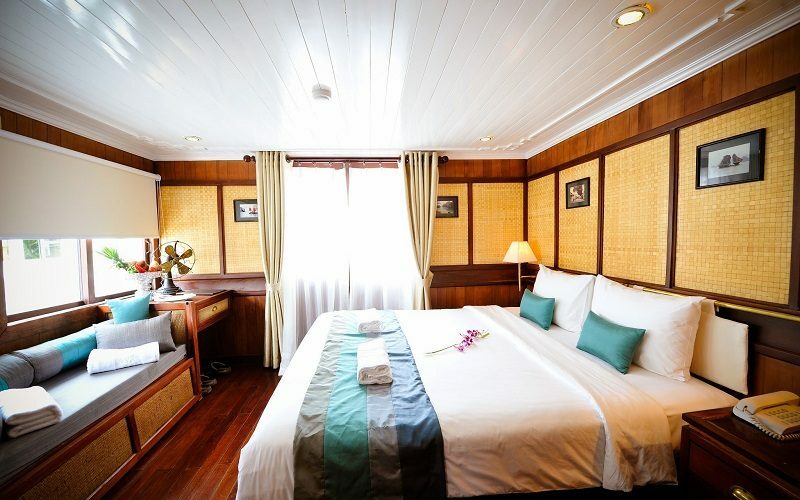 Just finished a fantastic 2 night stay on the Bhaya 5 Classic Premium cruise with Mr Linh on Ha Long Bay. Linh is the best cruise manager with a lovely crew. 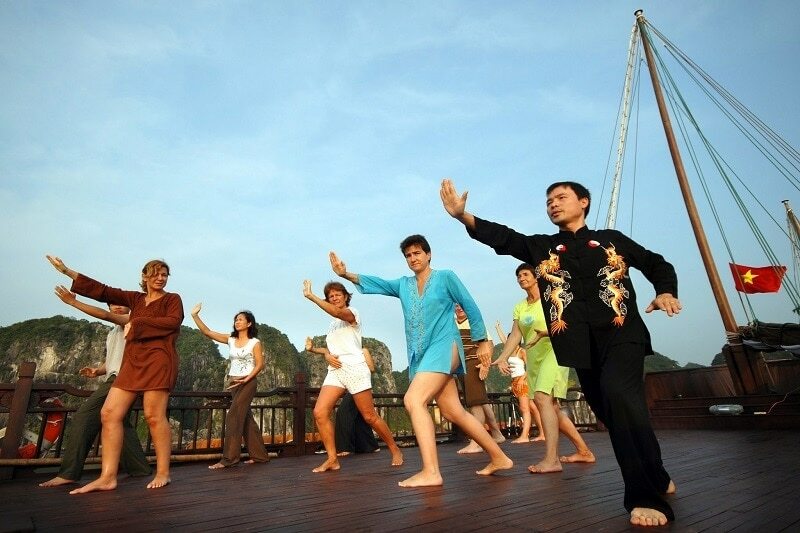 Food A plus, activities terrific (special mention for tai chi master). 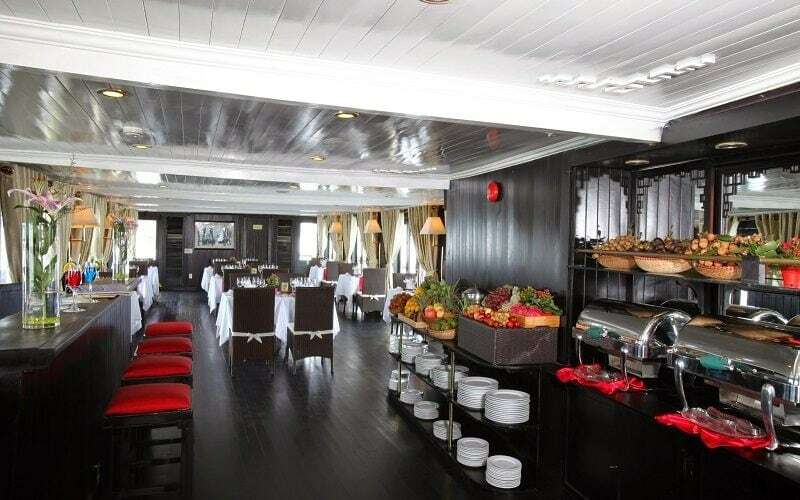 Everything felt as though it was specially prepared just for us. Highly recommend!